Ideally located in the centre of the CBD, next door to Her Majestys Theatre and opposite Adelaide Central Markets, lies the Metropolitan Hotel. The function room comes complete with its own outside courtyard, making it perfect for functions on those warm summer nights. 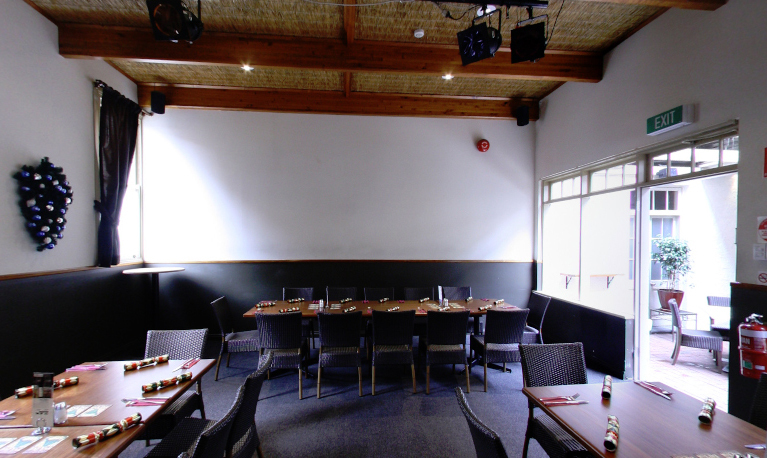 The function room contains a stage and microphone and projector, making it ideal for functions with live music or entertainment.